This die-cast alloy HIGH VISCOSITY LEVER-ACTION PUMP handles UV fluids and many other heavier non-corrosive liquids up to 5,000 cPs. 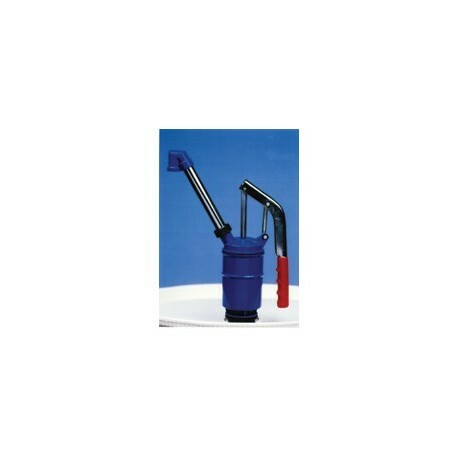 Fits 2" NPS (National Standard Straight Pipe Thread) bung, comes complete with telescoping suction tube, curved delivery spout and special high-angle delivery spout for filling bottles. Delivers up to 32 oz/stroke.